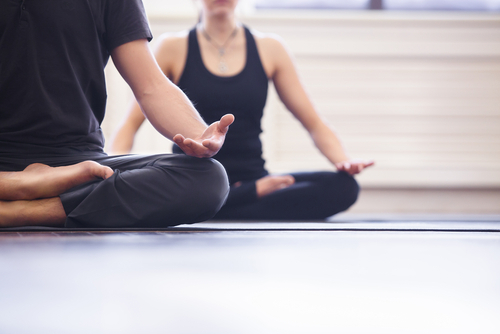 Yoga isn’t for everybody, though it does have universal benefits, which is why it is used in most addiction and mental health treatment programs. Reducing symptoms of depression, anxiety, stress, and cravings for drugs and alcohol are some of the proven benefits of yoga. It’s good for heart health, body health, and mental health combined. If you don’t like yoga, there could be some reasons why. Here are two of the most common complications for yoga being a challenge to you and how you can overcome them. Yoga is all about the breath and breathing. If you don’t like yoga, it might be because you are holding your breath, which is an instantaneous indicator of panic and distress for the brain. There’s a good chance that doing yoga when you don’t like yoga is causing you some level of distress. Letting the breath flow naturally, timing the inhale and exhale of your breath with certain movements of certain poses, is what makes yoga yoga. Holding your breath not only sends danger signals to the brain, creating a negative memory association, but it also clogs up your energy. Moving through the yoga poses is moving energy through your body. Breathing is a guide for the energy and a way to keep the body moving, as well as release the energy. Yoga isn’t about competitiveness or judgment. Most often teachers repeat sentiments like that over and over again in class, especially when they see someone pushing themselves too hard or looking around the room. Yoga is so challenging because you have to meet yourself where you are at. Being a physical exercise which uses so many different muscles of the body at once, yoga create muscle memory quickly and progress is exponential. Class by class your muscles are loosening up and gaining strength. Unless, that is, you are pushing yourself too hard. There are no requirements for yoga to meet every single pose dictated by a teacher. In fact, if you spent an entire class in child’s pose, considered the resting pose, it would still be a successful yoga class. You might not like yoga because you aren’t able to do what everyone else is doing, because you’re trying to do what everyone can do. Try focusing instead on what you can do and, for the real challenge, accept that as being your absolute, most impressive best. Recovery from drug and alcohol addiction is vast. There are many different therapies and treatment methods which you can make part of your program. Hired Power is a recovery services family company, empowering you and your family to focus on bringing recovery home. For information on how we can help you design your recovery plan, call us today at 800-910-9299.